Rebel Visionaire: CHRISTIAN LOUBOUTIN goes Christmas!! Now that is indeed breathtaking. 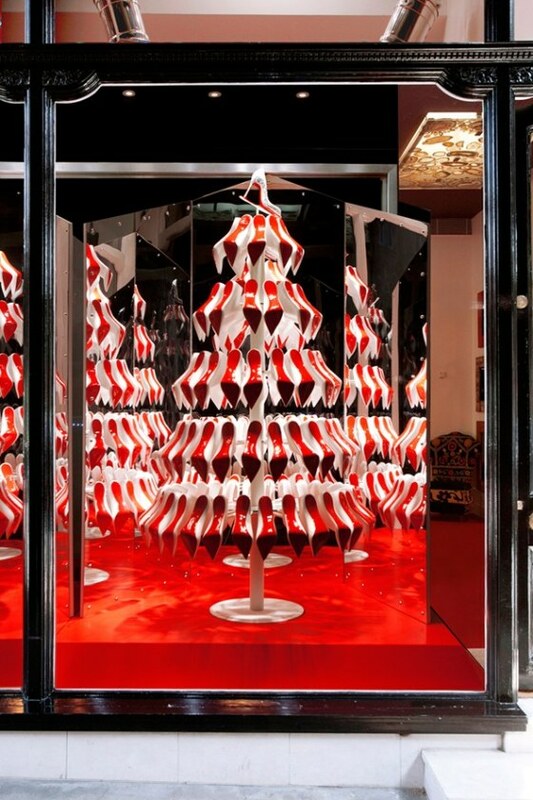 Christian Louboutin always has the best window displays each season but this time he honestly WOWED us. 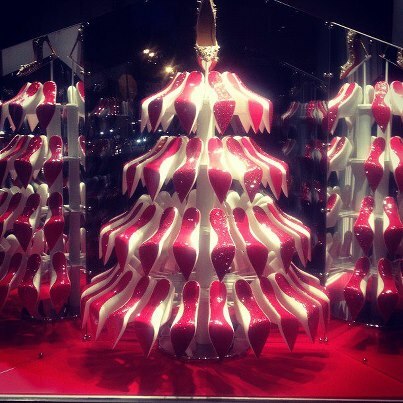 Louboutin signature shoes forming a Christmas Tree. What's greater than that? Holidays and Louboutin. Heaven!! A closer look on the red sole shoe tree! !